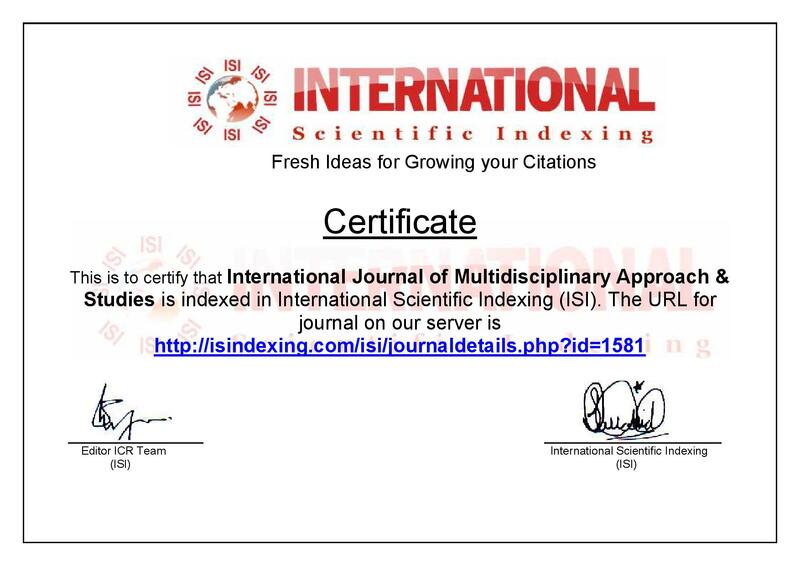 International Journal of Multidisciplinary Approach & Studies (IJMAS) is an academic Online Open Access Peer Reviewed International Journal which is approved by National Science Library (NSL), and National Institute of Science Communication And Information Resources (NISCAIR), New Delhi, India. 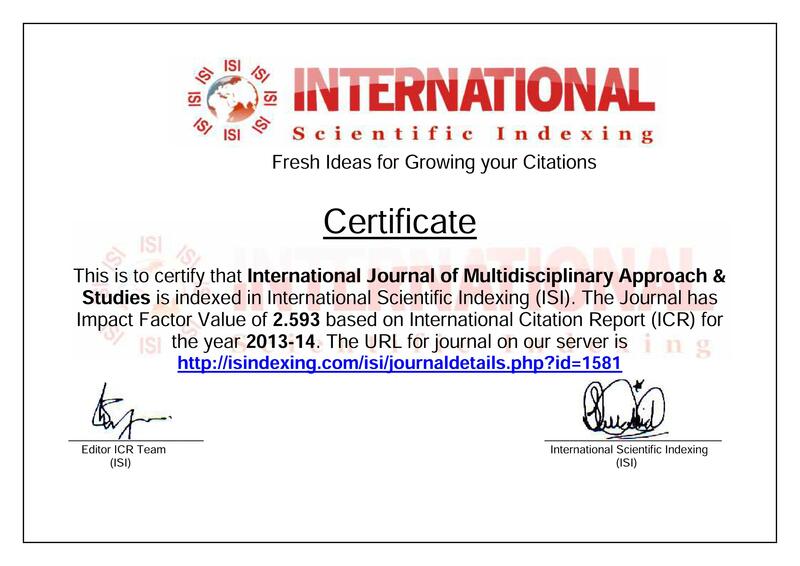 IJMAS is indexed and approved by ISI and various other International bodies. 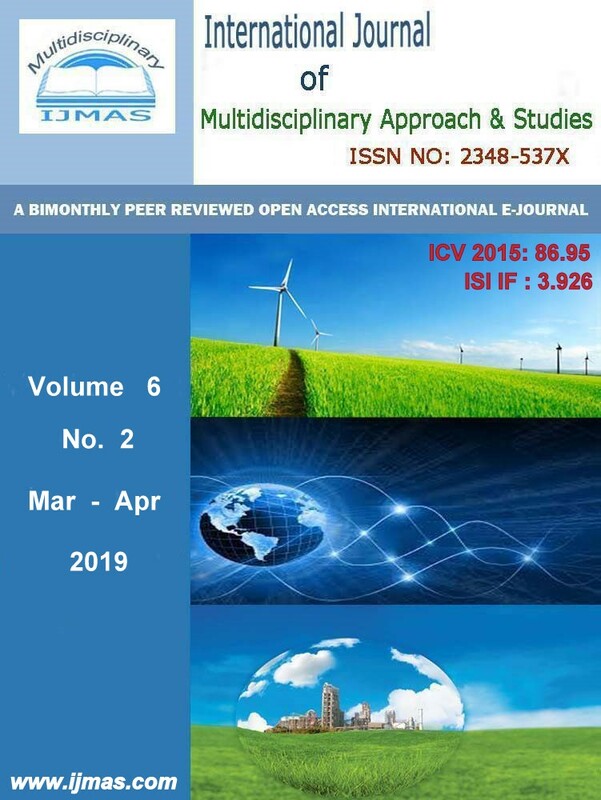 IJMAS is open access peer reviewed online journal which allows its users to read, download, copy, distribute, print, search, or link to the full texts of the articles in this journal. This work is licensed under a Creative Commons Attribution 3.0 License. It is run in association with an NGO ‘Aryavart ’ which works for women and child welfare. 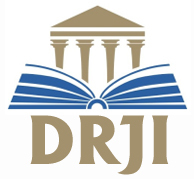 IJMAS is a peer reviewed online journal which aims at undertaking, aiding, co-coordinating, and promoting research and development. 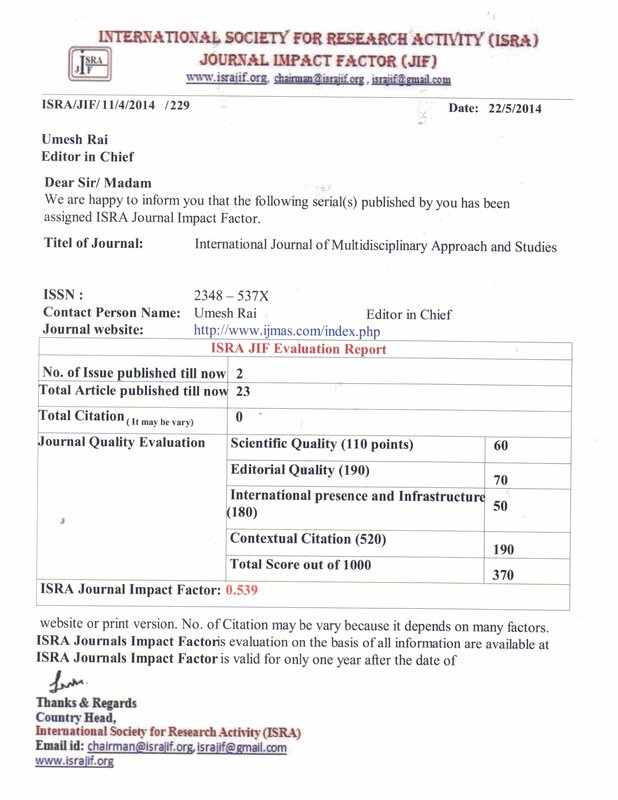 All contributions submitted for publication in the IJMAS have been subjected to a rigorous review process by editorial board and in-house editors in order to ensure constant high quality of the journals. 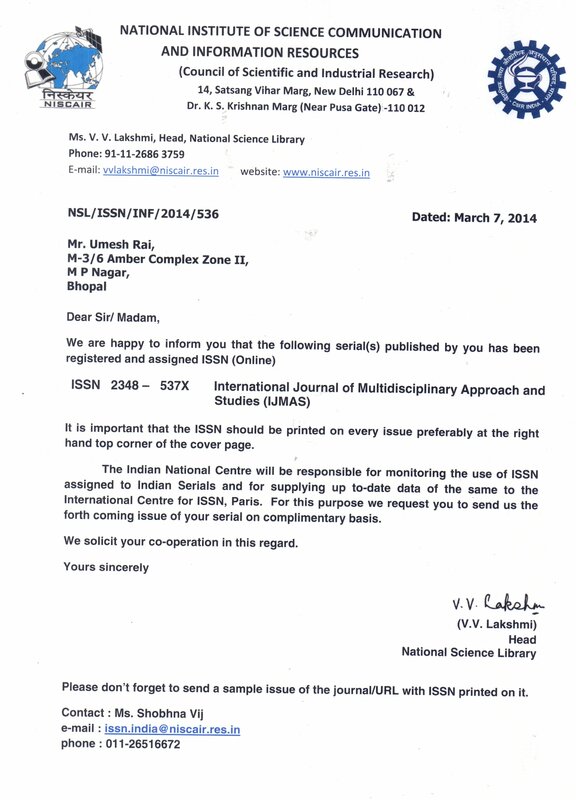 The selection of articles shall be based on the strength of quality, originality and contribution to knowledge.